For more than 25 years, Justin C. Johnson & Associates has been representing clients throughout Florida in personal injury cases. We are dedicated to providing high-quality representation during the difficult aftermath of an accident. Our attorneys compassionately guide you through the legal process while tenaciously fighting for your rights in court. If you have suffered a serious injury in Florida, turn to our firm. We handle all types and sizes of cases involving permanent injuries without considering the value of the total loss. Our past results page represents the amounts we recovered for our clients who suffered catastrophic injuries. We understand, however, that people are injured everyday due to the negligence of others. These individuals deserve compensation regardless of the severity of their injuries. Our firm will provide compassionate high quality legal services no matter the size of your case. Do not hesitate to contact us, if it is not appropriate for our firm to handle your case we will refer you to the appropriate attorney without charging a referral fee. Extensive trial experience. We are not afraid to take cases to trial if necessary. With our experience and knowledge, we are able to fight for you in court. By advancing the costs of trial, we are able to access useful resources to develop your case. We have a proven record of obtaining successful verdicts with high payouts. Team approach. With our team of skilled attorneys and paralegals, we have the ability to address any issues that might arise during the legal process. We also consult with a network of experts that help develop your case. Accessible representation. At our firm, we always put the client first. We believe in keeping you informed of the progress of your case throughout the process, and promptly respond to your queries. If you have been injured due to another’s negligence, Justin C. Johnson & Associates can help. We proudly represent people from all walks of life, including military personnel – you fought for your country, now let us fight for you. Personal injury. Personal injuries can drastically affect your health, your job, your family and your future. If you have suffered an injury because of somebody else’s carelessness, we can help you pursue just compensation. Injured children. There is nothing scarier than when a child gets injured. We have successfully handled many cases involving children who were hurt as a result of faulty escalators, day care abuse, defective products and more. We are dedicated to the best interests of your children. Trust us to get you justice for their injuries. Auto accidents. Every day, people are badly hurt in car crashes caused by distracted or reckless drivers. Over the years, we have prosecuted hundreds of auto accident cases and have the knowledge, skills, and expertise necessary to ensure victims receive compensation for negligently inflicted injuries. Our attorneys will fight on behalf of auto accident victims. Products liability. When you purchase a product, you trust that it will not harm you. If you have been hurt, you need to hire an assertive attorney to file a products liability claim. Premises liability. Owners and managers of commercial and residential properties have a responsibility to ensure that their buildings and grounds are safe for residents and visitors. This responsibility includes a duty to provide residents with adequate security. If you have been injured on someone else’s property, do not hesitate – contact us immediately. Boating Accidents. When boats are not operated in a safe and responsible manner, what is ordinarily a fun recreational activity, can become dangerous. The negligent operation of a boat or other marine vessel can lead to devastating injuries. When you or a loved one is injured in a boating accident our office is able to provide experienced and effective assistance to ensure you receive the compensation you deserve. No matter your injury, we have the skills and experience necessary to get you the compensation you deserve. 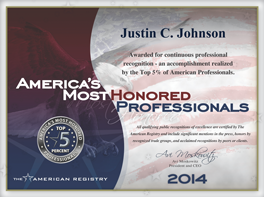 For help with your personal injury legal case, contact Justin C. Johnson & Associates. Our attorneys are dedicated to getting you a positive result. Call 727.384.3524 or contact us online to schedule a free initial consultation at our St. Petersburg, Florida office.